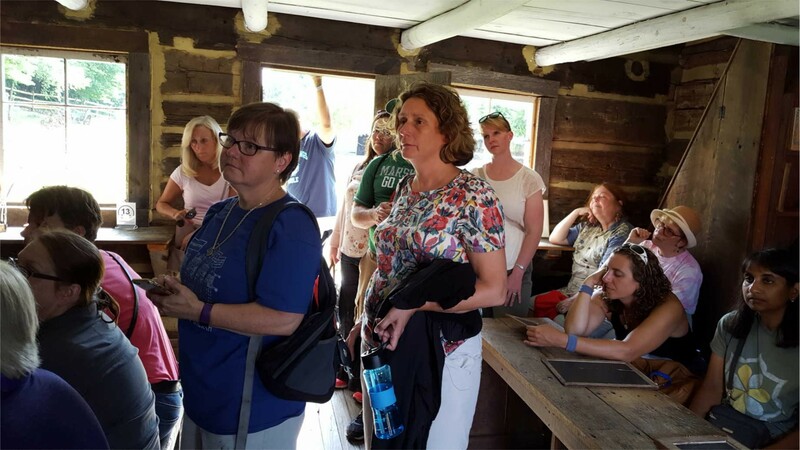 Teachers participating in the Voices From the Misty Mountains summer workshop visit Appalachian heritage sites. Image courtesy of Shepherd University. 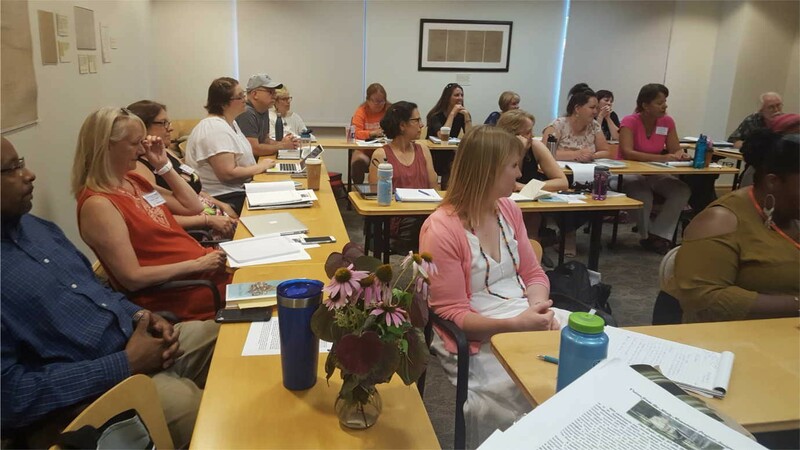 With NEH support, Shepherd University has offered three summer institutes for K–12 public school teachers from across the nation. In its first three years, “Voices From the Misty Mountains” reached teachers from 22 states and, through them, thousands of students. In the program, 16–25 teachers gather for three weeks to explore the Appalachian region through its literature, music, social history, dramatic arts, and storytelling traditions. Teachers—known as summer scholars—learn from renowned Appalachian writers, among them Nikki Giovanni, Silas House, and Frank X Walker. They also work with the actors and directors of the Contemporary American Theatre Festival. In storytelling workshops and other discussions, the scholars consider both Appalachia’s cultural heritage and the powerful impact of storytelling on personal identity. For the teachers who participate, the program can be transformative, leading to a renewed sense of professional engagement and inspiring new ideas for effective teaching. Reflecting on her experience, one scholar stated that “As a teacher, I have become empowered to empower my students.” Another described the experience as “an awakening. . . it allowed me to begin to see and understand cultural elements of the region as well as appreciate the beauty and difficulty of life in the mountains.” Consistently, teachers stated that the acting, storytelling, and music workshops gave them new ideas for presenting material to students and made them feel more confident about doing so. Exposure to the Contemporary American Theater Festival’s offerings provides teachers with another resource that they can take back to their school and students: knowledge of the festival’s summer programs for youth. 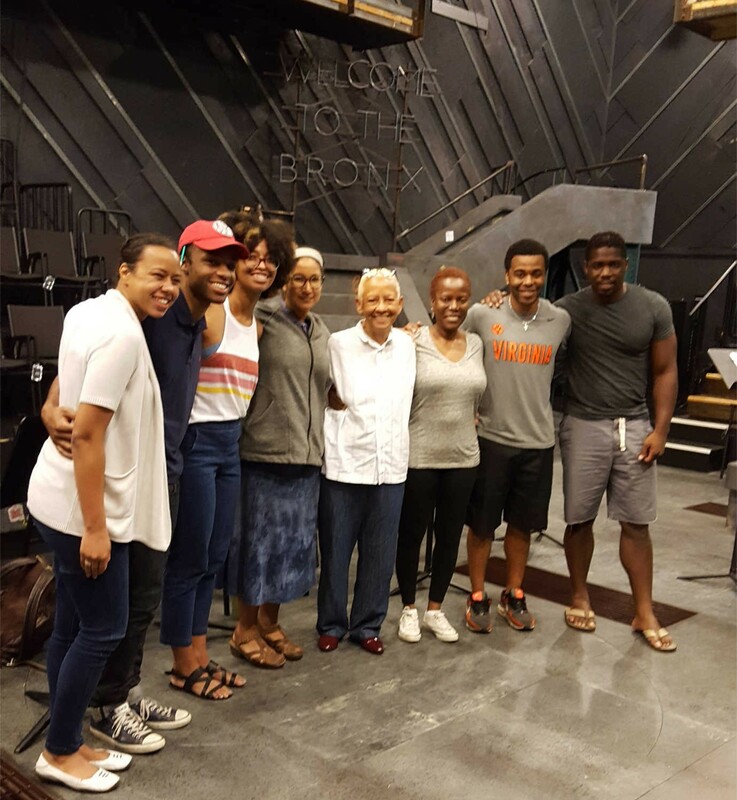 Teachers and actors pose with poet Nikki Giovanni. Each summer, Voices From the Misty Mountains collaborates with the Contemporary American Theatre Festival to produce a dramatic reading of Appalachian literature. Image courtesy of Shepherd University.